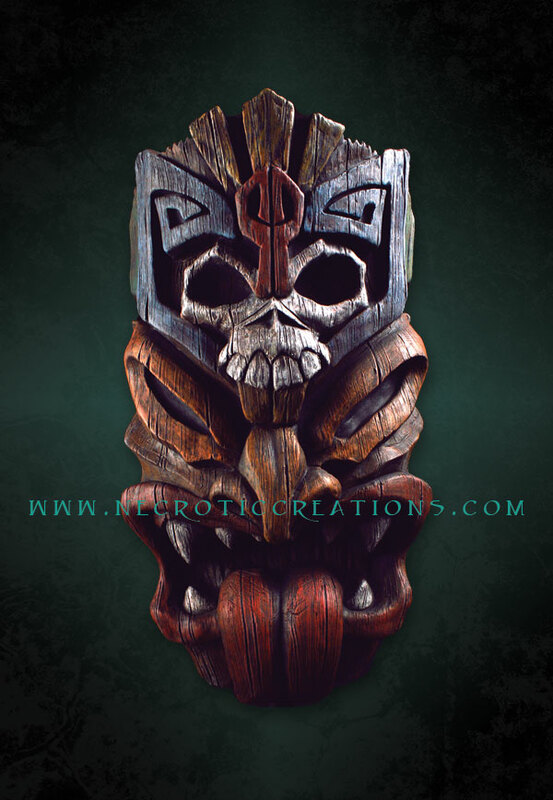 Highly detailed Tiki War Mask. Perfect for that unique Polynesian haunt or basement Tiki Bar. Influenced by the the famous Tiki room with a evil feel. Creates the perfect entrance when purchased in pairs. 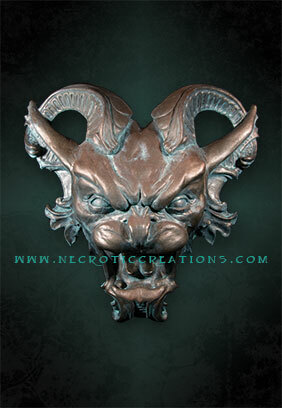 Made from durable and rigid expanding foam. Each piece is hand painted and finished off with a protective clear coat to hold up to the weather. 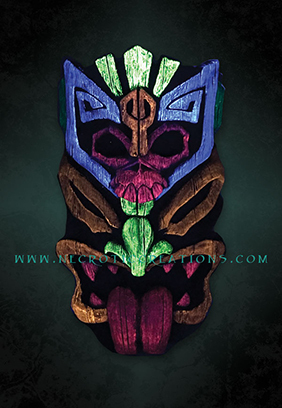 Highly detailed Tiki War Mask. 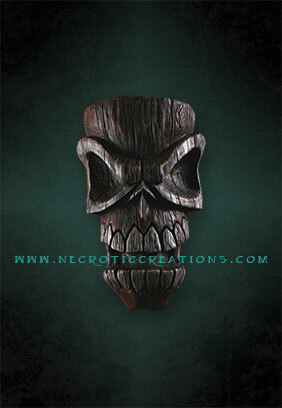 Perfect addition when in pairs to our Large Tiki War Mask (above). 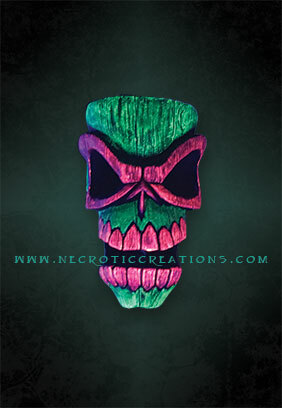 Influenced by the the famous Tiki room with a evil feel. Creates the perfect entrance when purchased in pairs. 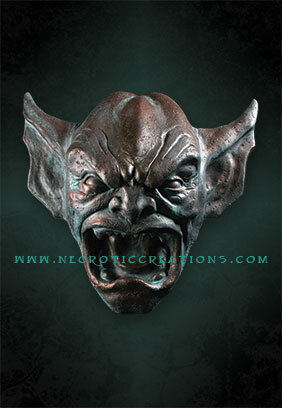 Bring that facade to life with our very own Gargoyle Fog head. This awesome piece provides a sense of realism to any castle facade or Crypt. Available with or with out ports for fog. Fog ports are 1″ O.D. and can easily be attached to your own fog machine. Some assembly required to attach the fog machine to our fog head. Effective when purchased in pairs.